Review by Bryce KuhlmanHere at MyLovelyAssistant, we do our best to review everything that comes in. Sometimes the subject matter is only remotely related to magic. Even so, we can usually find one of our official reviewers who has enough basic knowledge of the subject that they can provide an informed review.Such is the case with many of the movies recently produced by Donna Zuckerbrot. Two of them showcase famous magicians (Jeff McBride and Max Maven). 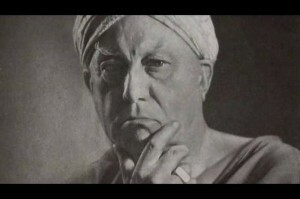 The others are on subjects in the realm of spiritualism, occult, hypnotism, etc.Since this DVD probably isn’t going to inform any of your work, and I doubt many of you will every watch it, I’ll try to review it as I would an independent film.There’s no question that Aleister Crowley was complex man. Some see him as the anti-christ while others see him as the bringer of a new age of spiritual enlightenment.The good news is that this film tries to cover all the bases. Lon Milo DuQuette speaks for the Crowley-philes. He’s studied and practiced Crowley’s brand of ceremonial magic his whole life and has written several books on Crowley and his methods. We even get an inside look into some of the rituals and discussion groups.At the same time, they try to put all of the controversy into context. 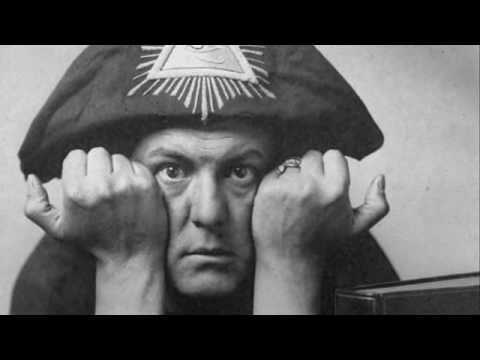 One of the things I found particularly enlightening is Crowley’s influence in the psychedelic ’60s. We know that he experimented with many ways of inducing altered states of consciousness from meditation to drugs. I guess it’s no surprise that he became a pop hero to the children of that time period. In fact, he’s one of the faces depicted on the cover of The Beatles’ Sgt. Pepper’s Lonely Hearts Club Band.The film also gives us some insight into how the press got wind of his practices and started the media frenzy that surrounded most of his life.Overall, the film does a good job of explaining who Crowley was, what he taught, and how he fit into society. If you’re interested in this controversial man, I think you’ll enjoy watching the film. If you think he’s the devil incarnate, don’t bother.